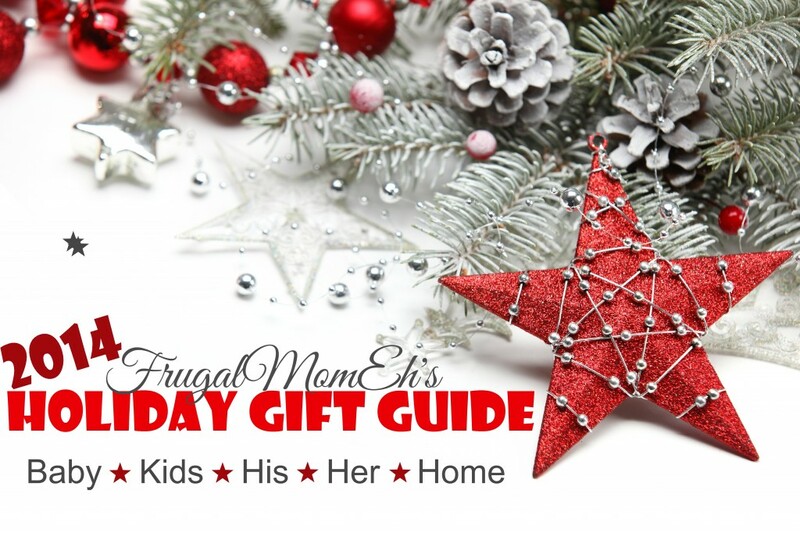 Lottie Dolls, Fashion & Accessories #FMEGifts14 - Frugal Mom Eh! We are big fans of Lottie in this house since first being introduced this summer. Lottie is an award-winning doll intended for children aged 3-9 aimed at encouraging a healthy and positive body image. Unlike other “fashion” dolls, Lottie has a ‘childlike’ body, doesn’t wear makeup, jewelery or high heels and can stand on her own two feet. 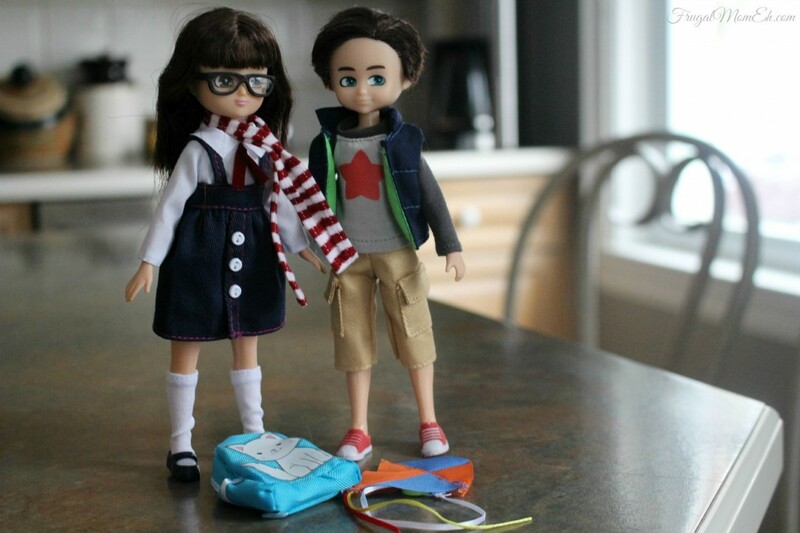 Lottie does all the activities that real kids do; and there are currently 14 Lottie dolls available, as well as 9 accessory sets and 8 outfits. I’ll be honest, I still like other fashion dolls and I think parenting plays a bigger role in body image than the toys children play with in fantasy play. I generally dislike the options available for dolls made to look “real” as for the most part they come off as sensationalist. That said, I think Lottie is a wonderful doll and I love that she has a childlike body rather than a proportionate adult body. I also think that owning Lottie can definitely be useful in helping to empower girls and to help with positive self esteem and self confidence. Not to mention that she is just the cutest doll I’ve ever seen! I love how relateable Lottie is for young girls and how varied her interests are just like any other little child’s interests would be. Her body is based on the average proportions of a 9 year old girl with the exception of her head (which has been increased to accommodate hair play). Lottie loves ballet, ponies, kittens and butterflies just like real girls do but she also really enjoys practising Karate, working at the lighthouse, pony racing and is one serious Pirate. She’s all about letting girls be girls, doing all the activities a child would do, and not growing up too quickly. New to the Lottie line is School Days Lottie who comes dressed in a A navy pinafore with a white shirt, bow tie, tall socks and navy mary jane shoes. She also comes with a pair of striped glasses, a striped red and white scarf, a cute cat-themed school bag and 10 special collector cards featuring leadership tips for girls. 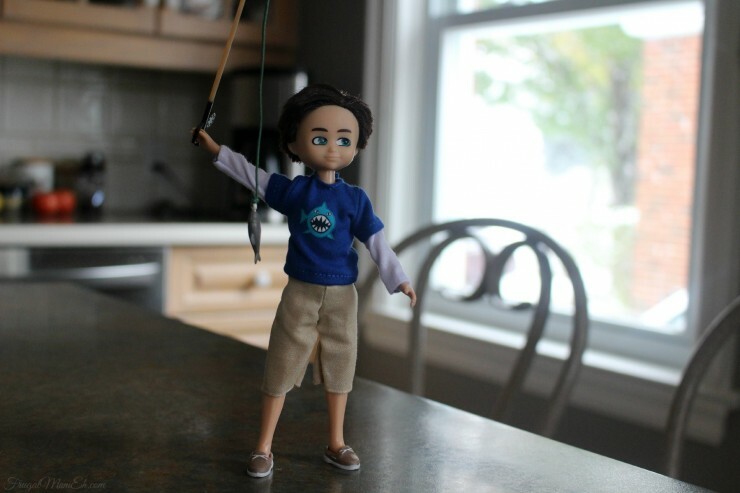 I’d also like to introduce to you Kite Flying Finn who is an amazing doll (or action figure if it makes you feel better) for both girls and boys alike. I don’t have boys but growing up I had a collection of “boy toys” all of which came with guns or other weapons. It seems looking at the “boys” toy section that not much as changed in recent years. I find it refreshing that Finn not only looks like a boy, but he also plays like a wholesome little boy with nothing violent about him. Finn comes dressed in cargo shorts, a star-themed long sleeve t-shirt, a puffer gilet, sneakers and a diamond-shaped kite. 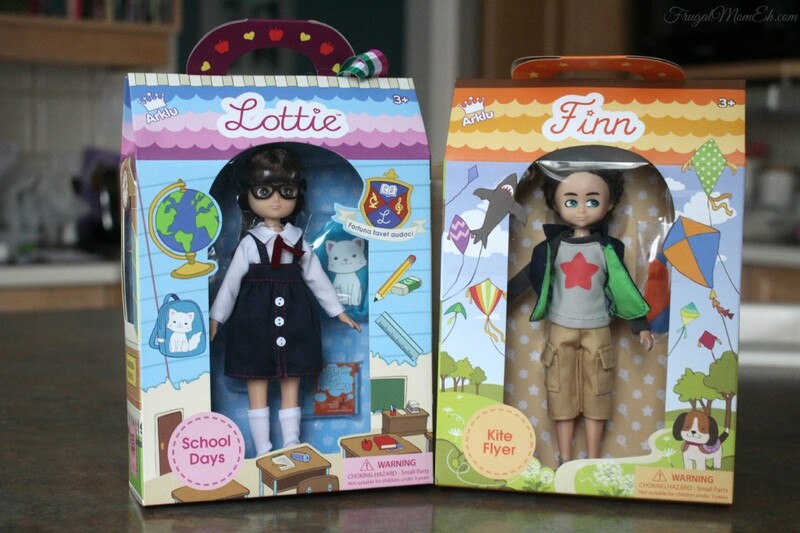 Finn and Lottie are also able to swap clothing and accessories which is pretty nice! 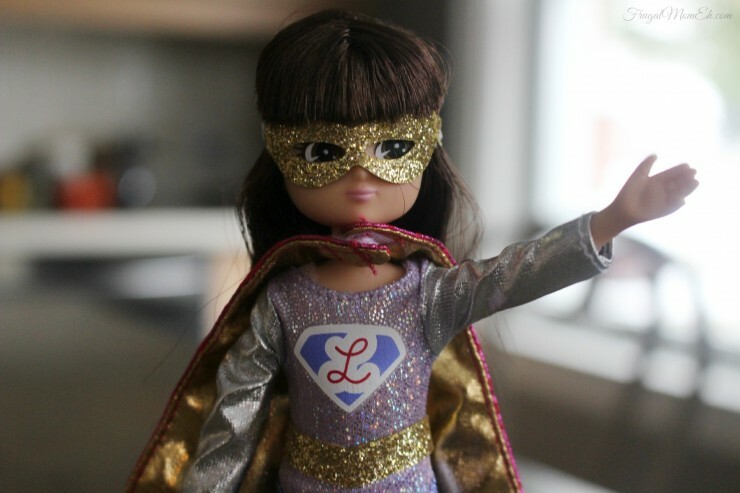 We were also sent the amazing Super Lottie Outfit Set which includes a metallic all-in-one suit with a belt, a pink and gold metallic cape, a sparkly gold mask and a fabulous pair of winged boots. 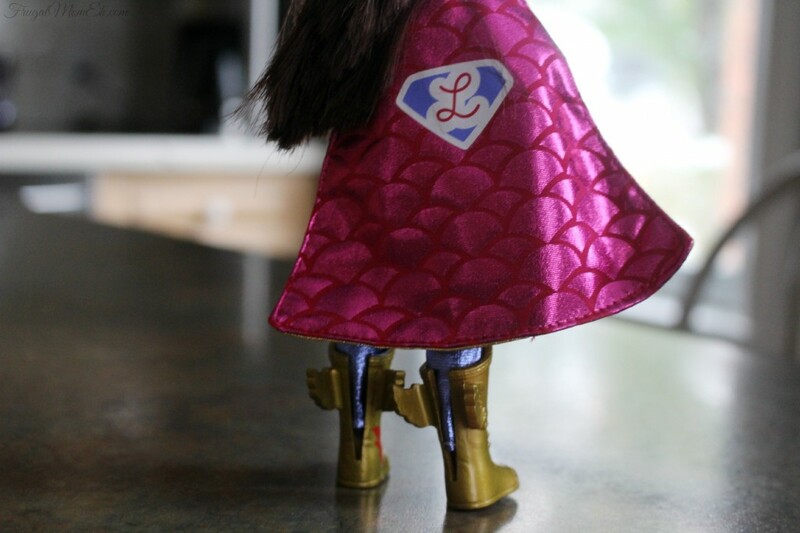 The Super Lottie Outfit is probably the most amazing outfit for a doll that I have ever seen. It’s not just cute but it really makes a statement too. She looks like such a strong superhero! There aren’t many superhero females in general. I can count them with one hand as a matter of fact so its nice to see a doll play superhero and even nice that it is a little girl. We also got to check out the Scooter Set which includes the Scooter itself, a Helmet (safety first! ), a ramp and stickers to decorate the ramp and scooter. Finn and Lottie like to take turns showing off their skills and cool tricks. Also available is a Hair Care Accessory Set which has everything to help Lottie keep her hair neat while she has fun playing. The set includes a hairbrush, 2 pink flower bands,2 lilac flower bands, 10 blue elastic bands and a Corduroy bag with ribbon drawstring to store it all in! Lottie has plenty of hair so she is fun for lots of creative hair play. Finn isn’t to be left out of the fun either though! There is a Gone Fishing Outfit Set just for Finn which includes Cargo shorts, A long sleeved shark-themed t-shirt, Deck shoes and a fishing rod and fish. 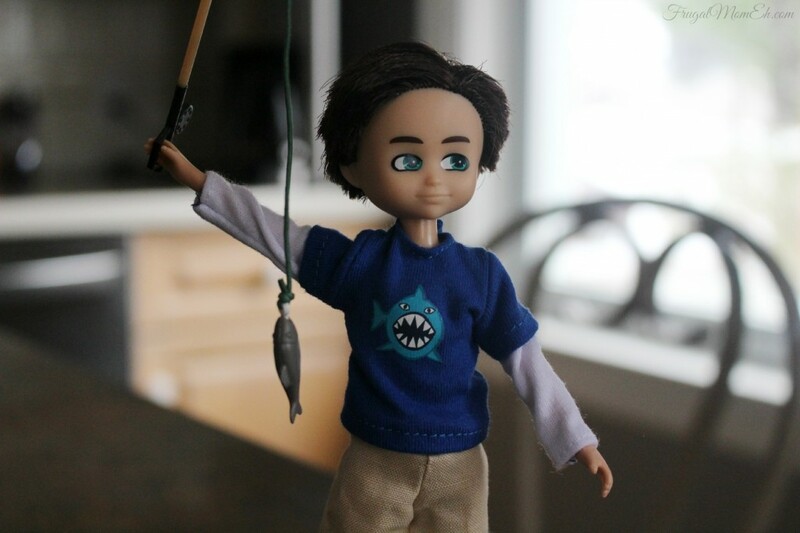 If your Lottie doll wants to go fishing, this outfit set fits her too which is pretty great. Lottie Dolls and Accessories can be purchased in Canada from Mastermind Toys, Toys “R” Us, Chapters and local independent toy retailers near you! Lottie can be purchased in the USA via Amazon and other toy retailers. I have been reading some great reviews about Lottie! I still need something for my one niece and I have been debating about getting her one. These are awesome!! Fantastic review! I love these dolls, I really love the accessories that come with them to, I like these ones better than Barbie!! What a great review. Those dolls are adorable. I think my niece would love them. This is the first time I’ve heard of Lottie dolls. I think my son and daughter would like them. My boy would love the boy with the fishing pole! 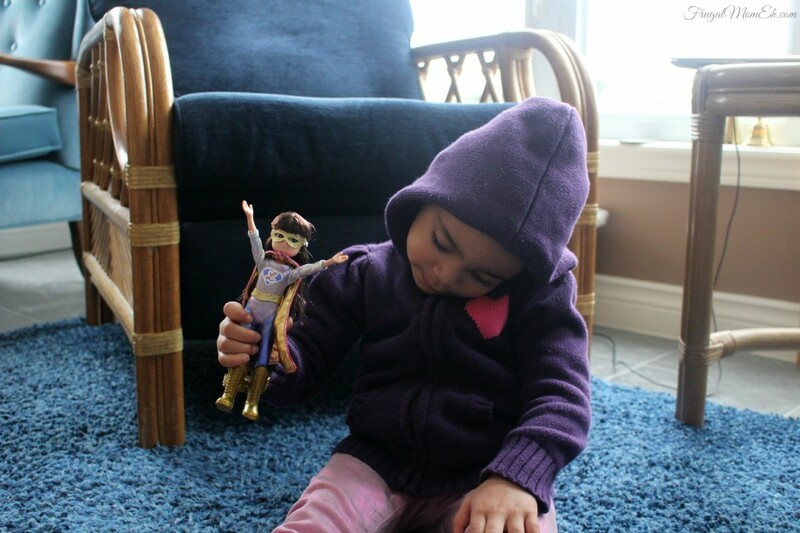 I got the Snow Queen Lottie Doll for my niece awhile back and she loved it! They are so fun, and I love their line! Those dolls are so cute. I will have to get some for my niece. 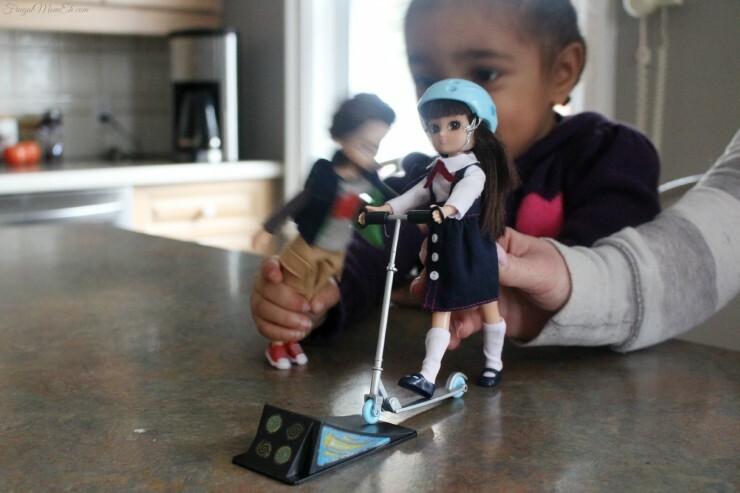 Okay, those dolls are too cute! Love all of their fun accessories! Every little girl’s dream! Cute dolls, my daughter asked me for a new doll this year. I’ll have to think about this one. Never heard of these before but they are so cute! Love the action hero costume!! They’re so cute! I love that they’re more real than other similar dolls out there! Oh how cute. My daughter is going to have a super hero birthday party in January and that doll with costume would be such a cute gift for her. I have never heard of these and they are super-cute. I love the cape. Thanks for sharing. Such cute little dolls, this is something kids would love! Lottie is so cute and a great gift idea for little girls. I am going to have to check her out. These are so cute. 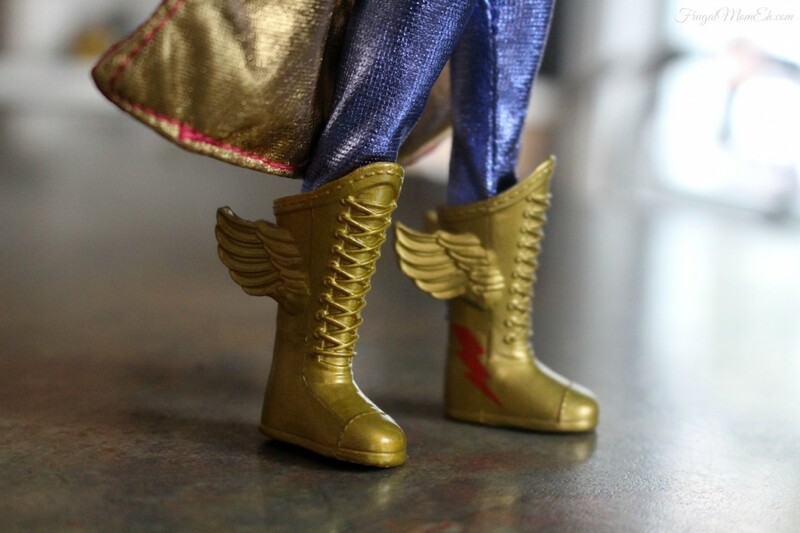 I absolutely love the wings on the shoes. I know a little girl this would be perfect for. Strangely I like that the doll can stand on it’s own. It’s kind of symbolic isn’t it? my daughter would love these!! love the costumes! Been hearing a lot about these dolls lately….I’d take these over Barbie any day! Brand new to me but they won’t be forgotten! I love the extra outfit choices! These are such cute dolls. My kids would love these. I had never heard of Lottie dolls before. My youngest has been asking for new dolls. I’ll have to keep these in mind. Those are super cute! I think any girl would love these. I’ve been hearing a lot of buzz about Lottie lately, and I can see why. These dolls are really cute. How cute! I especially love the wing-tipped boots! These are such cute dolls. I bet my friends little girls would love these. I will share your page with her. 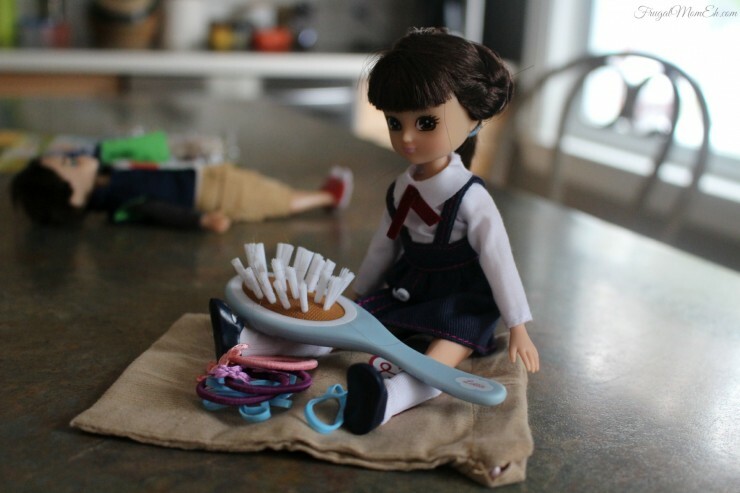 We love Lottie Dolls, My daughter has a few of them. I like how modest they are. My girls love their Lottie Dolls. I like how they are more like a little girl. Super cute! What a great review. Those dolls are cute. Oh my gosh, these dolls are so cute!! I just love the costumes!